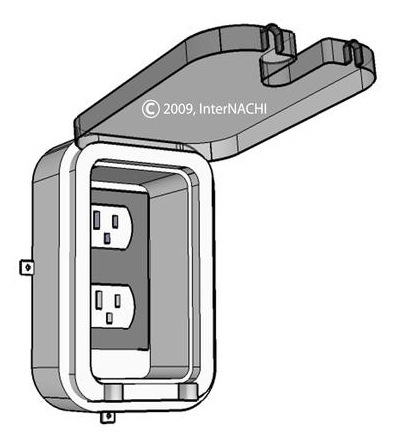 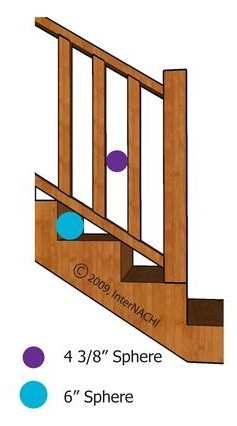 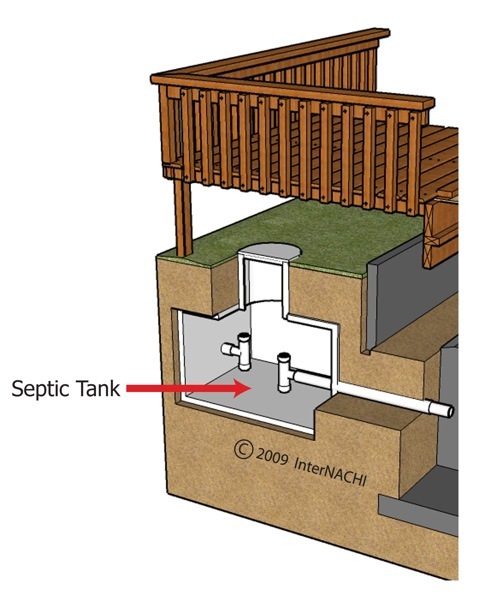 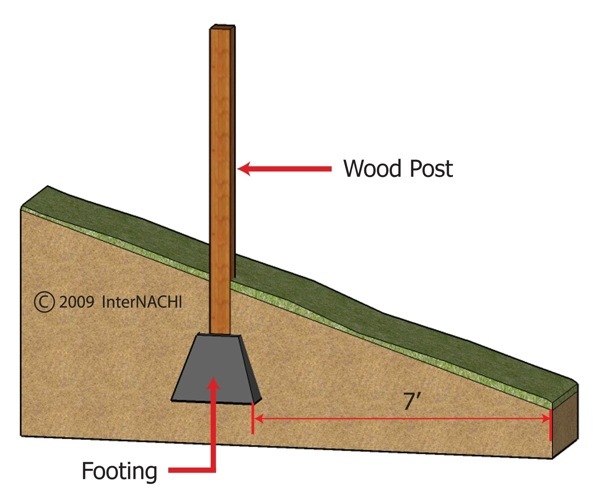 The image above depicts a proper post-to-footing connection. 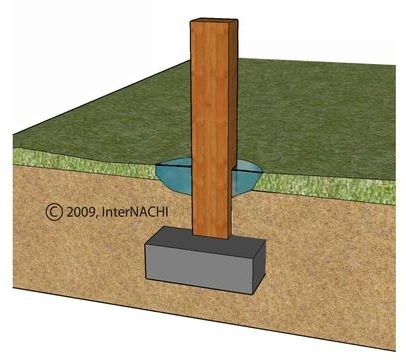 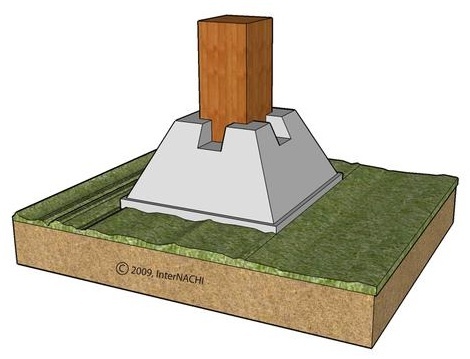 Posts should be connected to their footings so that the posts don't lift or slip off their footings. 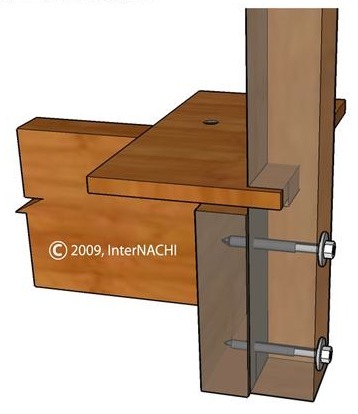 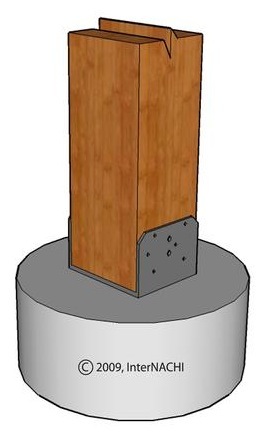 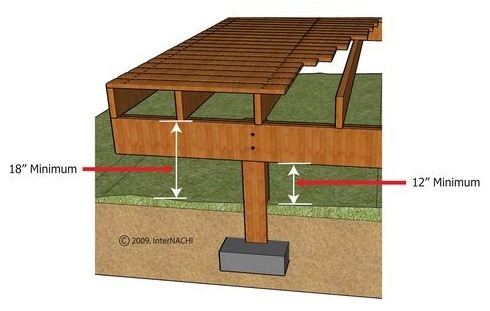 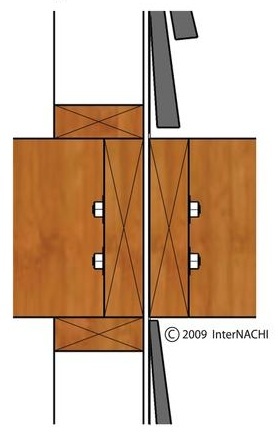 The image above depicts an adjustable post-to-footing connection. 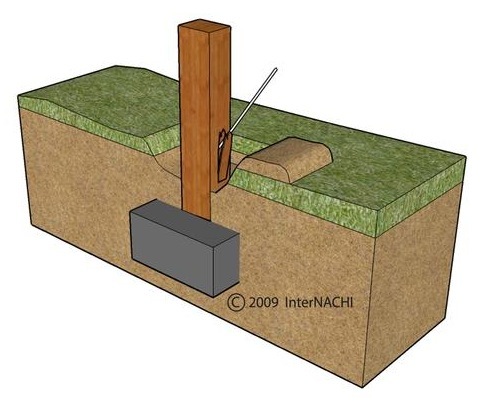 Posts should be connected to their footings so that the posts don't lift or slip off their footings. 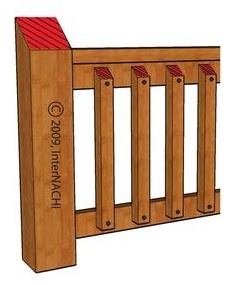 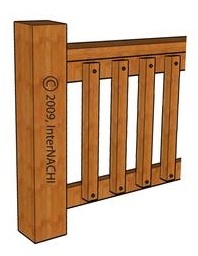 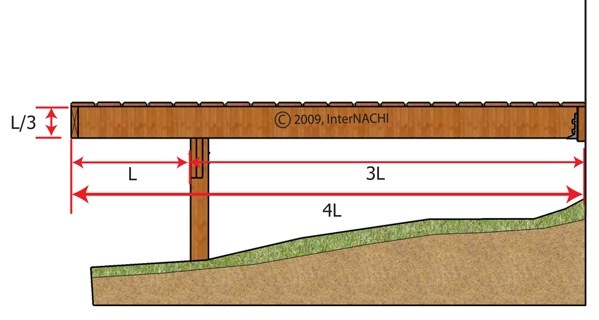 The image above depicts a high deck being supported with 4"x 4" posts. 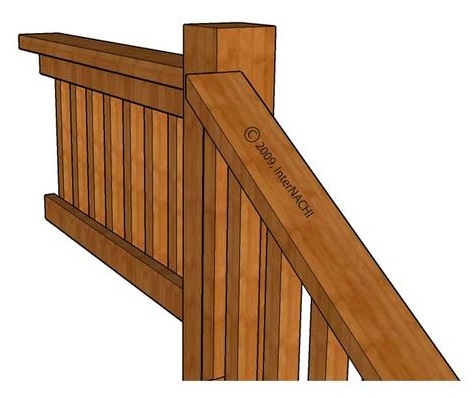 Tall 4"x 4" posts twist under load and 4"x 4" posts, even when treated, decay below grade too quickly. 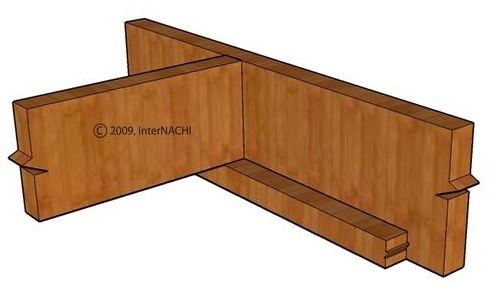 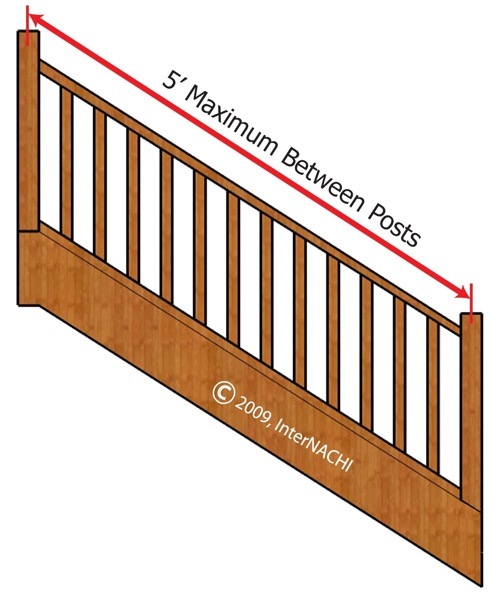 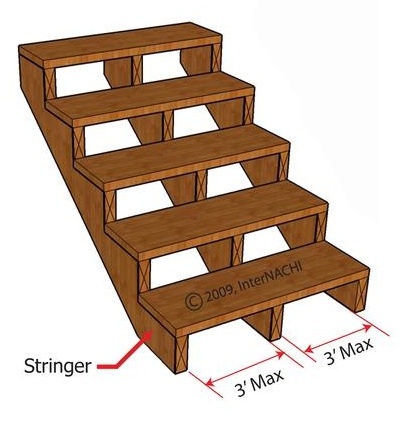 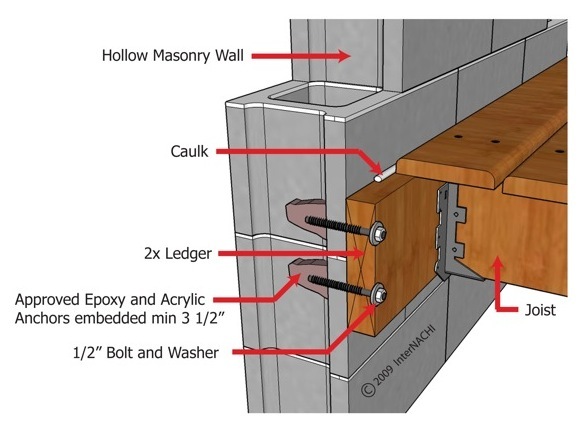 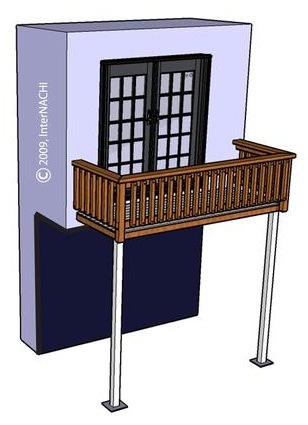 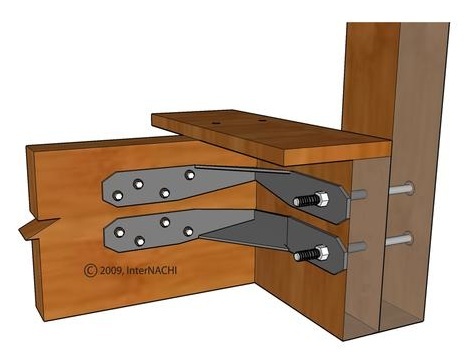 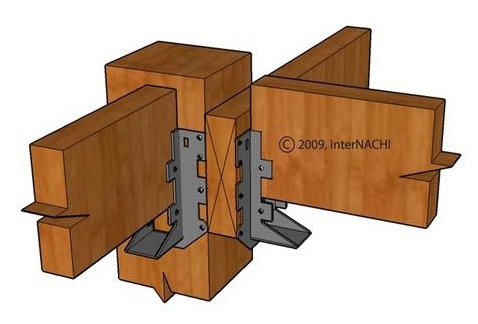 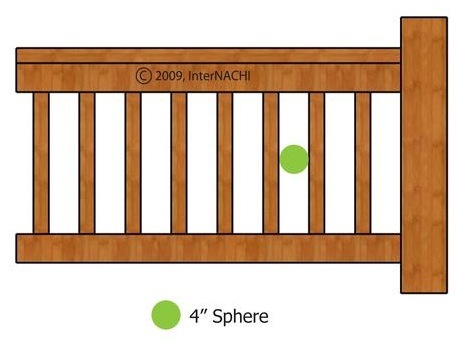 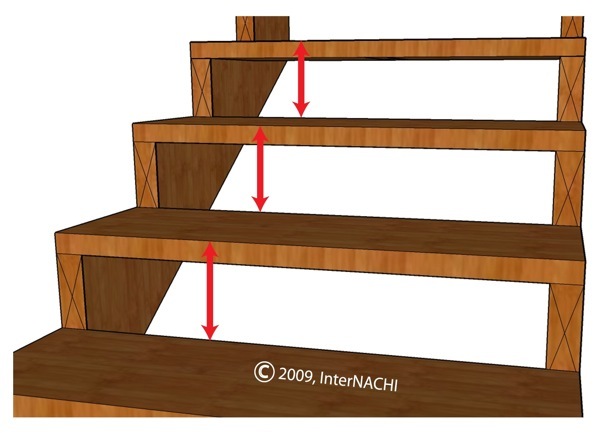 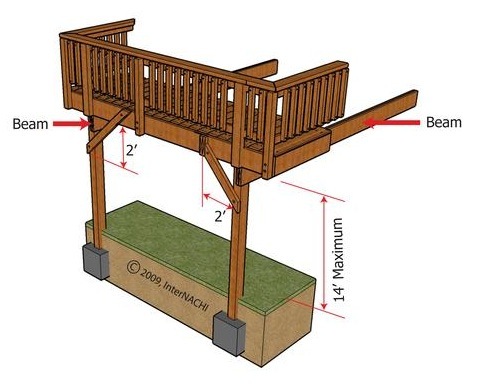 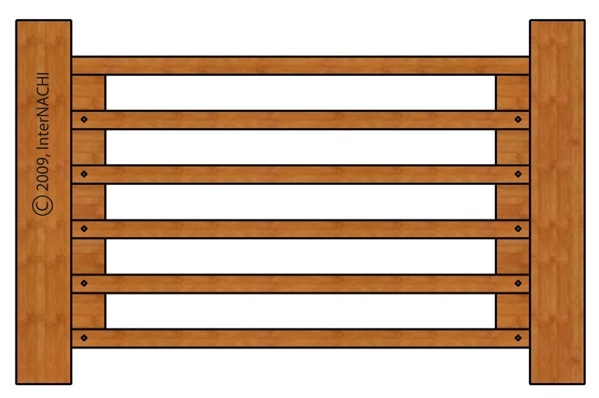 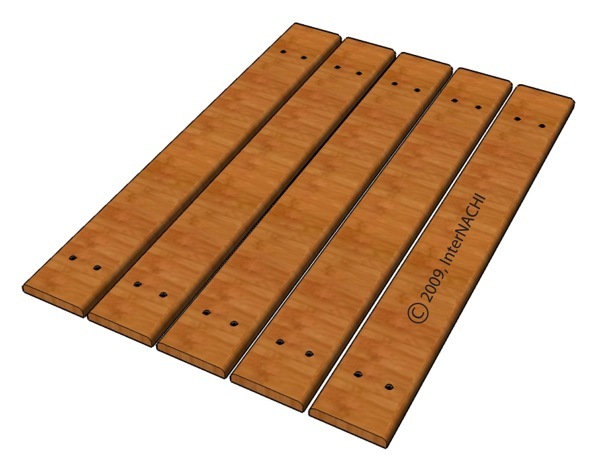 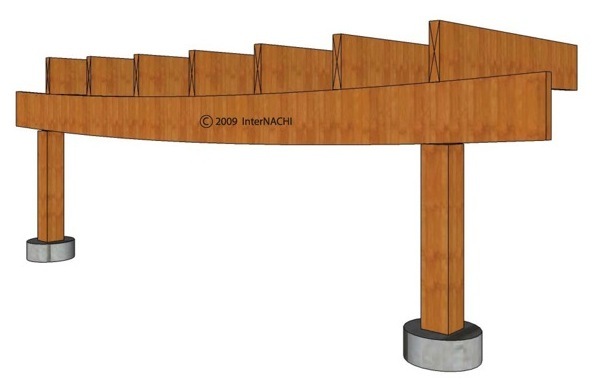 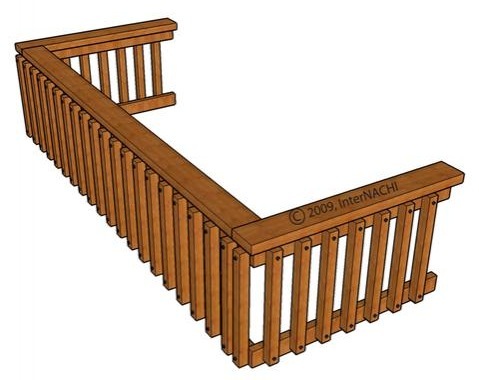 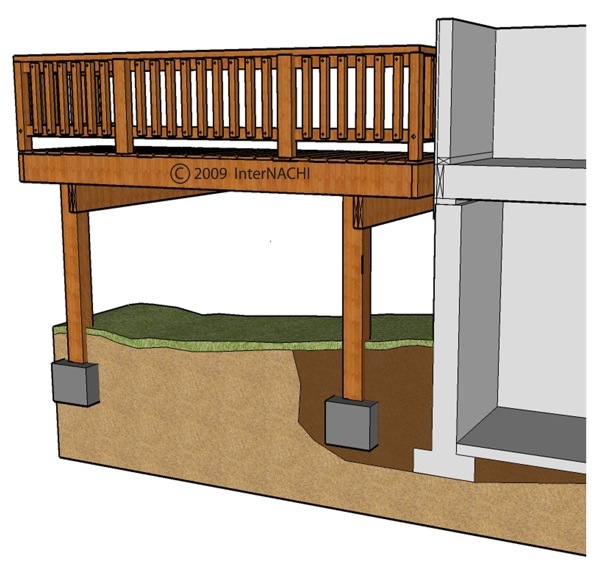 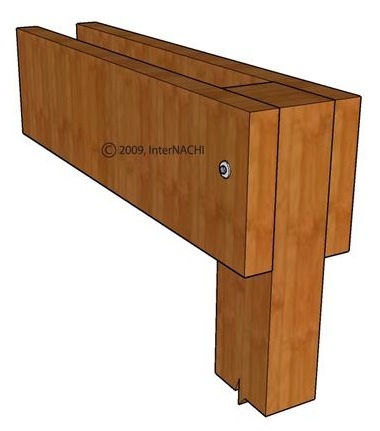 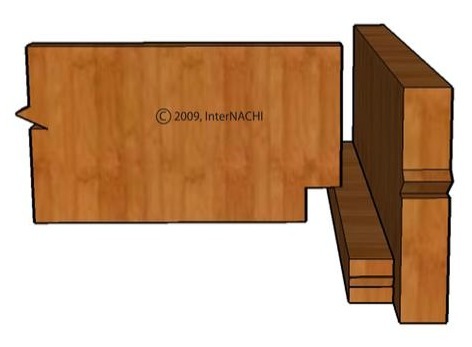 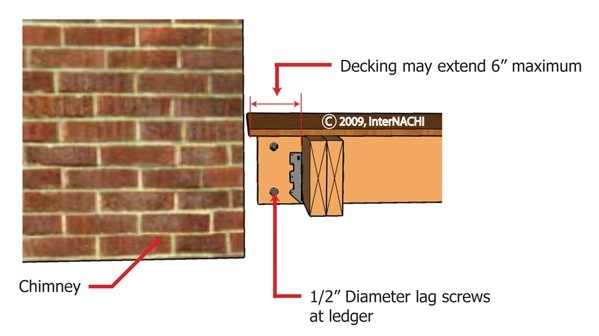 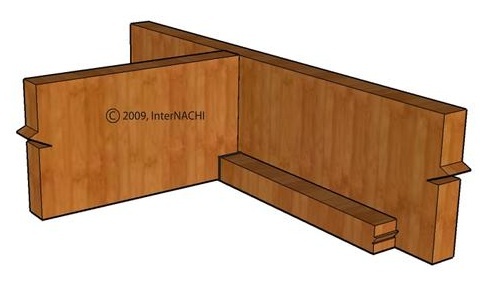 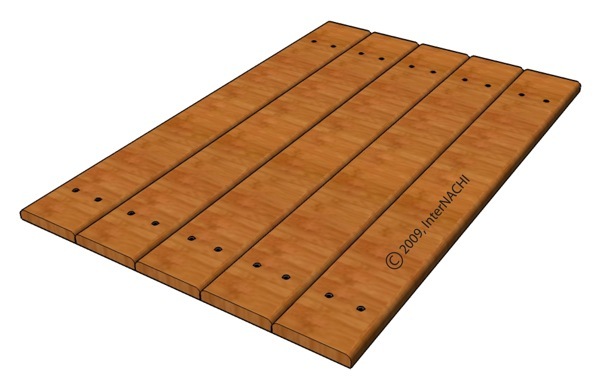 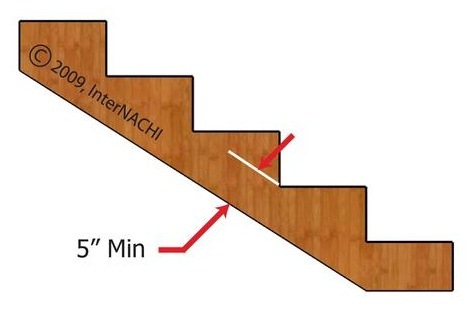 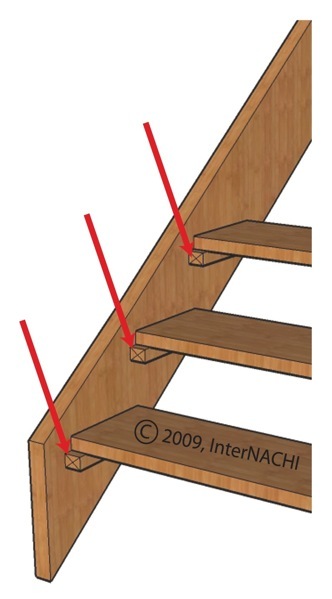 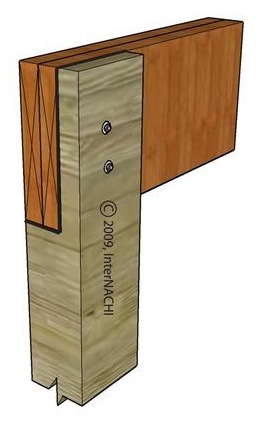 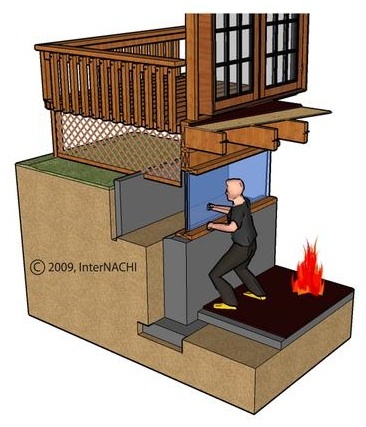 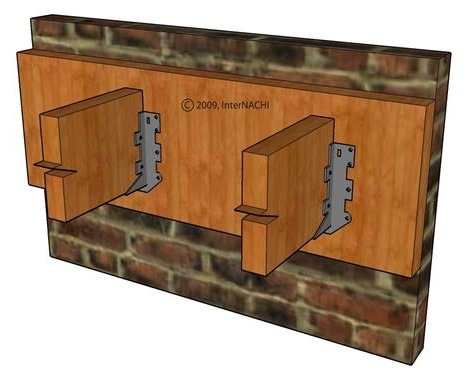 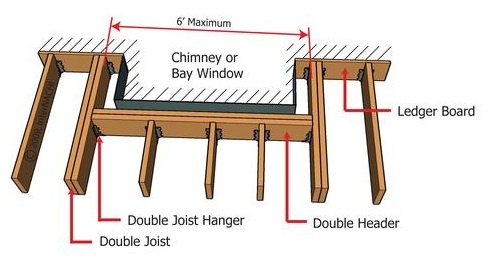 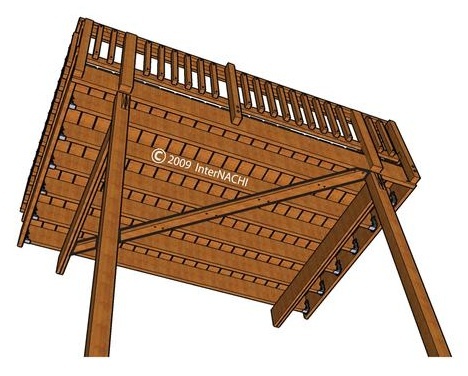 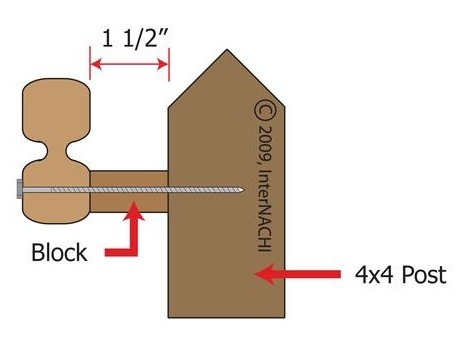 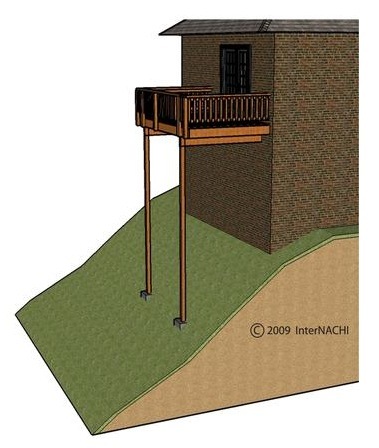 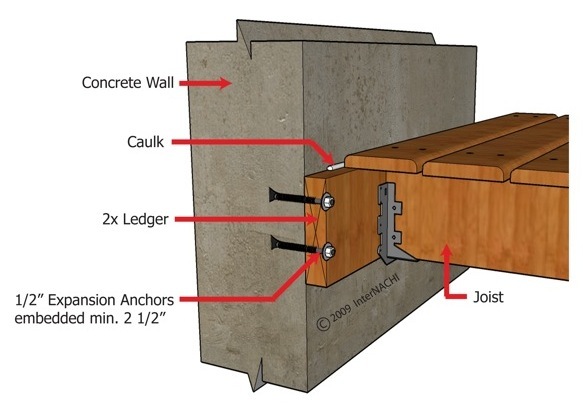 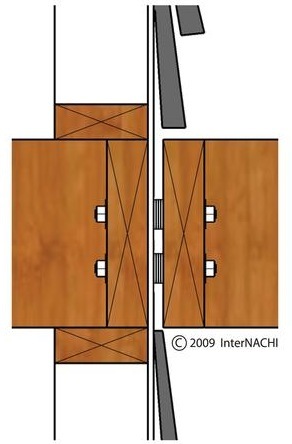 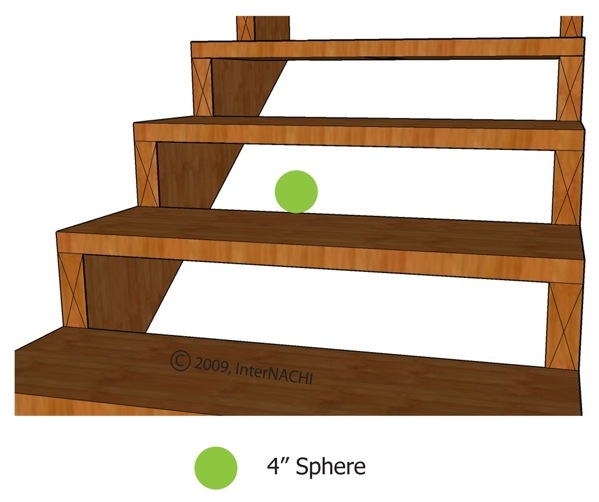 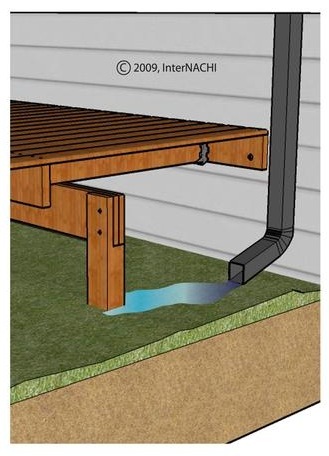 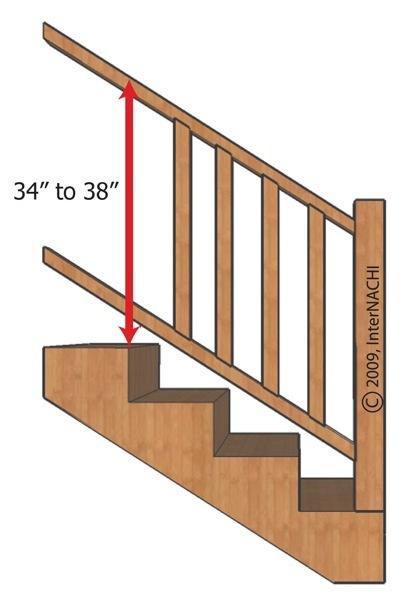 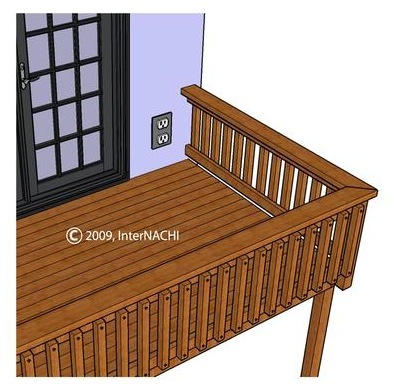 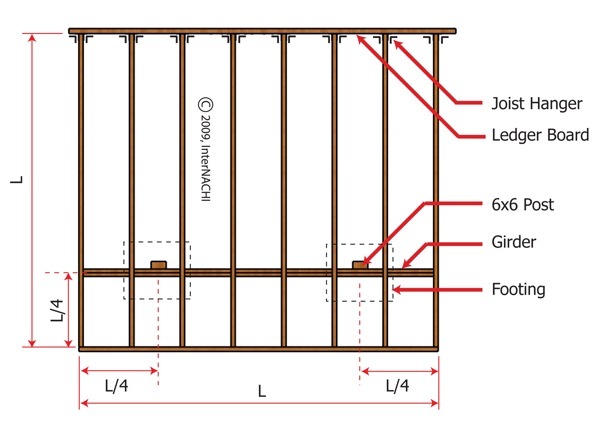 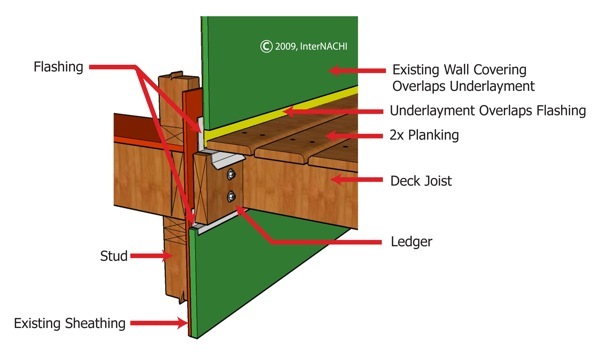 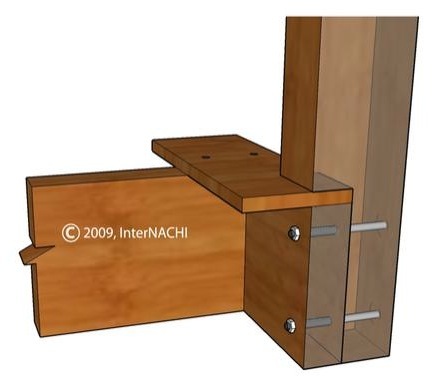 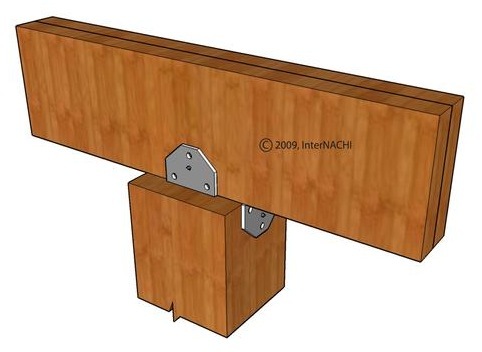 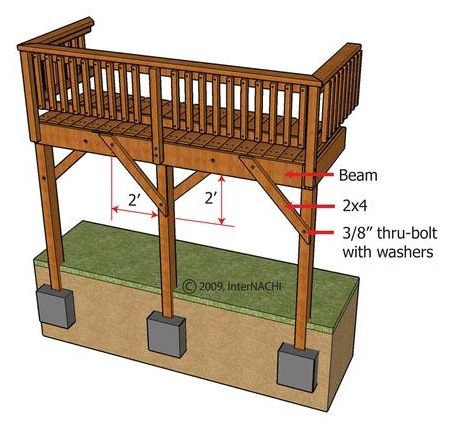 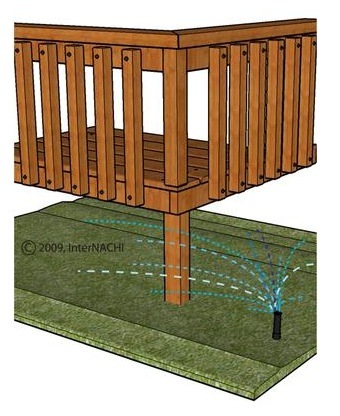 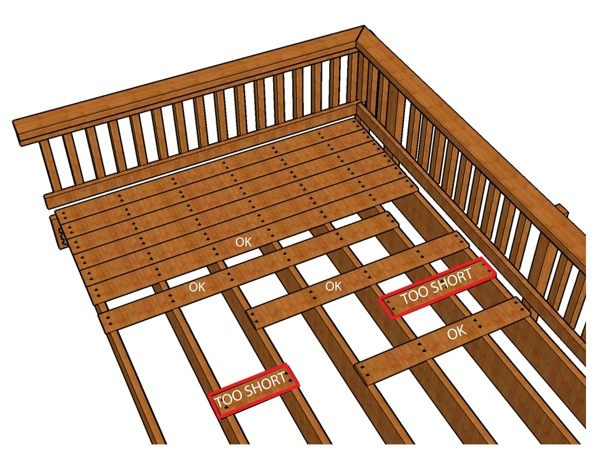 In all but the lowest of decks, deck posts should be at least 6"x 6", and be no higher than 12 feet; 14 feet is acceptable if cross-bracing is used. 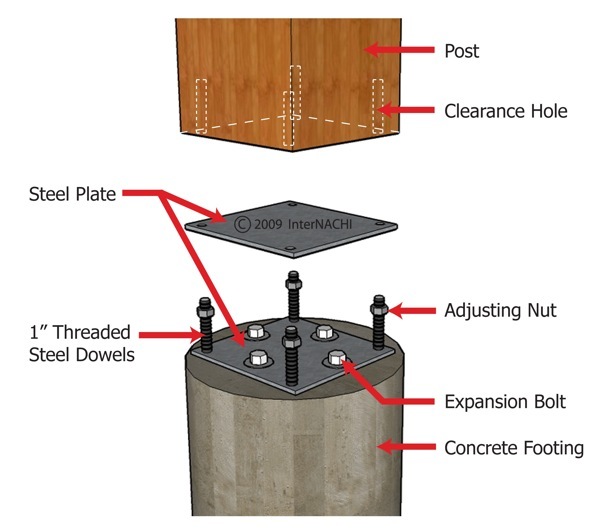 All screws, bolts and nails should be hot-dipped galvanized, stainless steel, silicon bronze, copper, zinc-coated or corrosion-resistant. 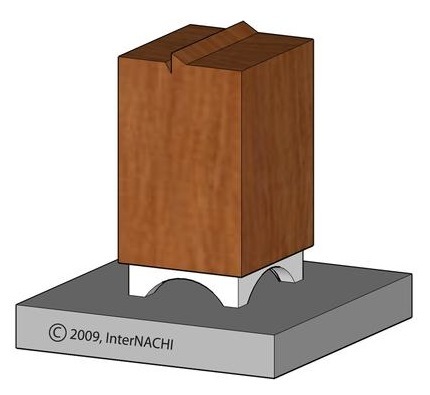 Metal connectors and fasteners can corrode over time, especially if a product with insufficient corrosion-resistance was originally installed. 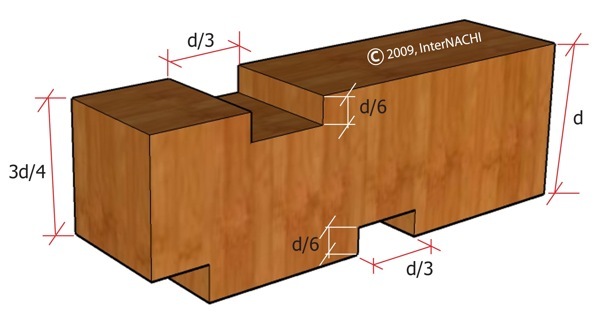 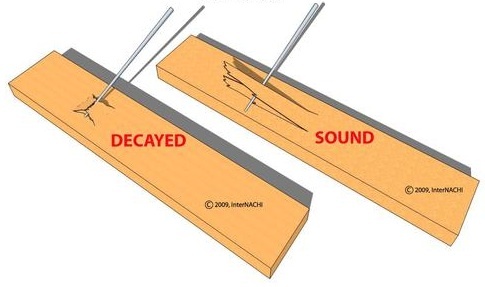 Corrosion of a fastener affects both the fastener and the wood. 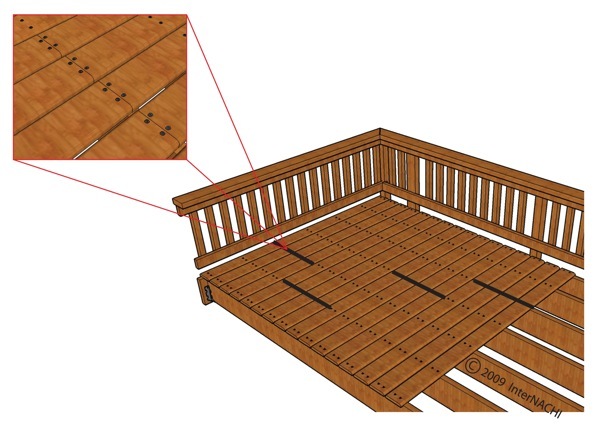 As the fastener corrodes, it causes the wood around it to deteriorate. 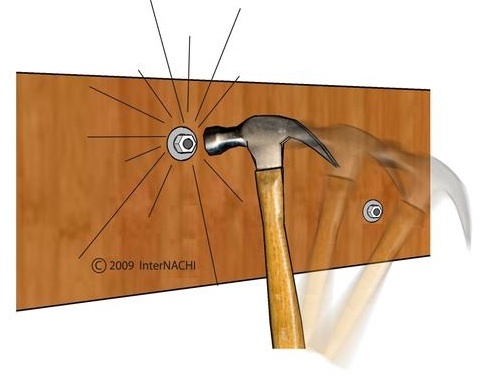 As the fastener becomes smaller, the void around it becomes larger. 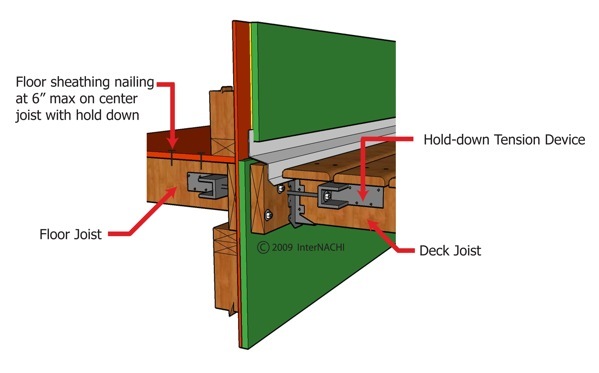 Inspectors normally do not remove fasteners to check their quality or size, but if the inspector removes a fastener, s/he should make sure that removal doesn't result in a safety issue. 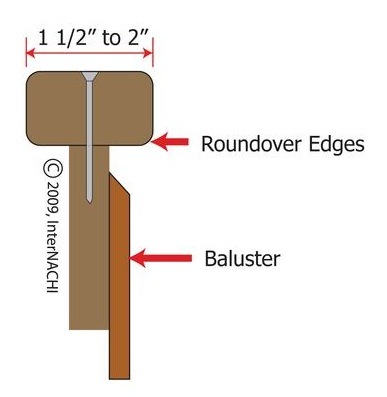 Fasteners removed should be from areas that have the greatest exposure to weather. 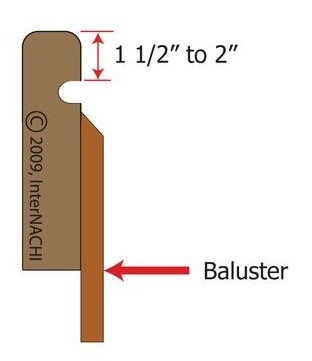 Some inspectors carry new fasteners to replace ones they remove at the inspection.